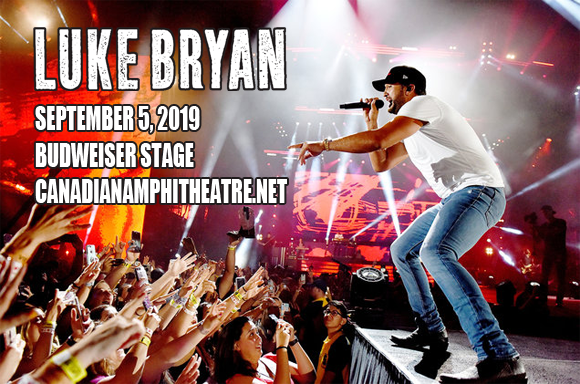 Luke Bryan brings his Sunset Repeat Tour to Budweiser Stage on Thursday 5th September 2019! The lively, magnetic artist is promoting his most recent album (2017's What Makes You Country), and bringing a brand new show to the stage, ready to give fans the biggest party of the year! Part of the reason Bryan's shows constantly sell out is his carefully selected support line-up, and this year, the superstar is bring in special guests Cole Swindell & Jon Langston! Now one of the biggest stars of modern country music, Luke Bryan began his career in the mid-2000s working at a publishing house in Nashville, Tennessee, penning songs for artists like Travis Tritt ("Honky-Tonk History") and Billy Currington ("Good Directions"). On the strength of his writing, Bryan was signed to Capitol Nashville in 2007 as an artist in his own right, releasing his debut album, I'll Stay Me, later that year. Bryan was an instant success, both critically and commercially, and his career has continued to grow, with the subsequent release of four albums that have reached number-one on the Billboard Top Country Albums Chart, with two more reaching number-two, and three that also hit the top spot on the Billboard 200. Throughout his career, Bryan has won a bevy of awards, including nine American Country Awards in 2012 alone, and he has been the recipient of both the Academy of Country Music Awards and Country Music Association Awards "Entertainer of the Year" award – the latter he has won twice. Bryan's most recent album is 2017's What Makes You Country.